A crossover between Castlevania and Prince of Persia leaning heavily towards puzzle solving and with minimal combat. We have Nosferatu for SNES, while it may look similar it plays very differently! The castle would feel dark and creepy, centuries long abandoned and full of traps and hidden places. Enemy encounters would be scarce, with each one of them being relevant to the puzzles or in some way unique. The plot may remain simple, defeat Dracula as you would in any Castlevania game. 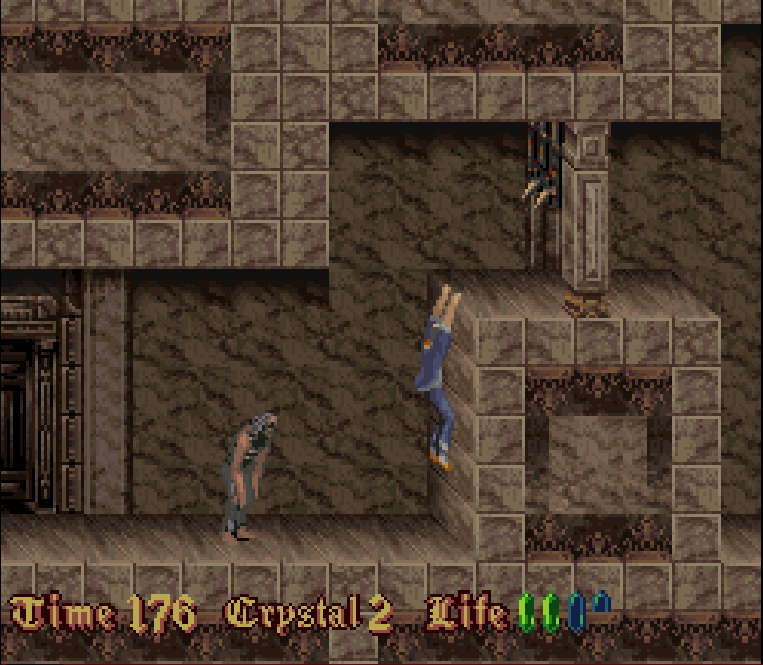 Save the twists on “Dracula’s identity” for more dramatic games, in this one the environment would be the protagonist.